Celebrate people and cultures on a boat ride past hundreds of singing dolls representing the countries of the world. It's a Small World is a celebration of the world and international unity. 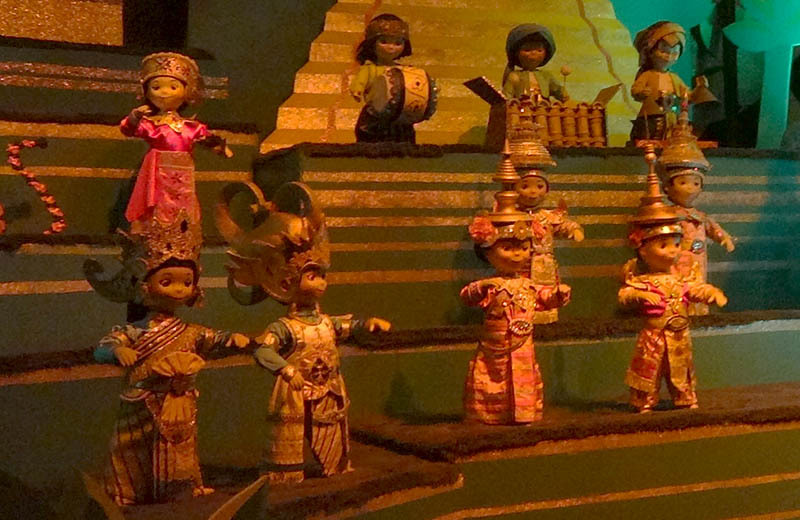 It features over 300 audio-animatronic dolls representing children from different countries and cultures, all united in song - it's a small world after all. The ride's theme and execution divides audiences: some think it is one of Disney's greatest rides, others dislike the clinical stereotypes portrayed. Which ever camp you fall into, everyone can agree that the ride is joyful, colourful and has an extremely catchy theme tune which plays throughout the ride's quarter of an hour duration. Walt Disney was asked to create the ride for the 1964 New York World's Fair where it was presented at in the UNICEF pavilion and sponsored by Pepsi. After the fair closed, It's a Small World was moved to Disneyland where it opened as a new attraction in Fantasyland in May 1966.